I’ve said it before and I’ll say it again… One of the best ways to learn and grow in Photoshop is to deconstruct and attempt to recreate designs that inspire you. 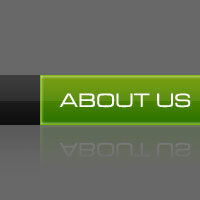 So in that spirit, lets jump in and take a closer look at the LittleLines.com navigation to see what we can learn about how they initially created their lovely little nav bar. Notice all the details in the expanded view below, the borders, gradients, sizes and colors. In instances like this, the zoom tool can be your best friend. Lets jump right in and open a new Photoshop document. For illustration purposes I’ll make my document 540x200px at 72ppi, but obviously if you were creating a website concept you’d want to have a document size large enough to design the whole site rather than just the navigation. For the moment, lets ignore the wooden background texture and set a solid color for the background of the navigation. 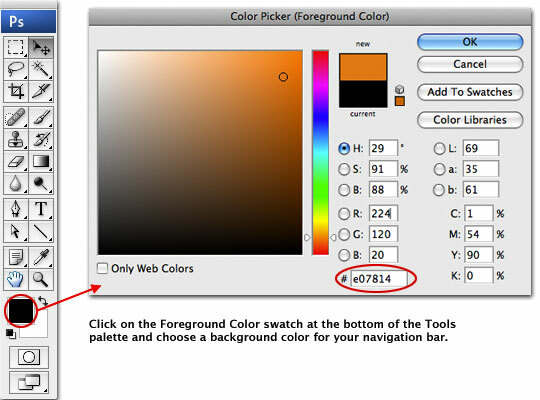 Click on the Foreground swatch at the bottom of the Tools palette to open the Color Picker, then pick a complimentary color for the background. I chose a nice orange color #e07814. 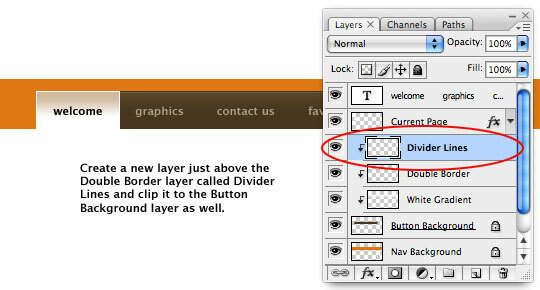 Create a new layer by clicking on the Create New Layer icon at the bottom of the Layers palette. When the new layer appears double click on the layer’s name to rename it Nav Background. From now on when I tell you to Create a New Layer and give it a name, this is what you’ll do. Now lets create a selection by pressing the M key to switch to the Rectangular Marquee tool. As we know from the closer look from Step 1, the navigation background measures 50px in height. I like to keep the Info palette visible so I can see the exact dimensions of my selections (Window>Info from the Main menu), this way as I click and drag my selection I can watch the sizing and always get the selection I’m after on the first try. Once your selection is created, simply press Option-Delete (PC: Alt-Backspace) to fill the selection with your newly selected foreground color. With your selection filled with color, deselect by pressing Command-D (PC: Ctrl-D). Now lets set the stage for our buttons. Create a new layer called Button Background, set your foreground color to #47361f, and create a selection above the Nav Background that’s 38px in height and sufficiently wide to accommodate the buttons you wish to create (*note: you can always narrow the area if it’s too wide to begin with). Fill the selection with the new foreground color by pressing Option-Delete (PC: Alt-Delete) and deselect by pressing Command-D (PC: Ctrl-D). Now lets add a light gradient to the Button Background. Create a new layer called White Gradient and set your foreground color to white by either using the Color Picker as we’ve done before, or simply by pressing the D key to reset the foreground and background colors to black and white respectively and then by pressing the X key to switch white to the foreground. 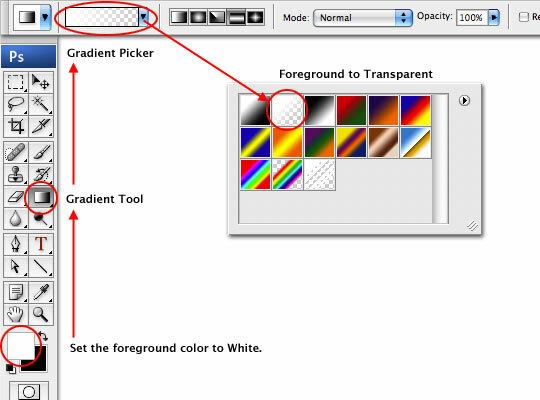 Switch to the Gradient tool by pressing the G key, and choose the Foreground to Transparent swatch from the Gradient picker in the Gradient Options bar at the top of Photoshop. Before we apply the gradient, lets create a Clipping Mask from the White Gradient layer to the Button Background layer by Control-Clicking (PC: Right-Clicking) on the White Gradient layer in the Layers palette and choosing Create Clipping Mask from the menu. This will make it so that only the pixels from the White Gradient layer that overlap the Button Background layer will be visible. You will know a clipping mask has been created because the layer will indented with a small arrow pointing to the layer it is clipped to. With the layers clipped together we can go ahead and add the gradient. 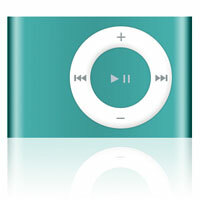 To do this, simply click and drag downward with the Gradient tool from the top of the brown button background area to about 50% of the distance from the top to the bottom. Obviously the effect of our newly created gradient is much too strong, so lets go over to the Layers palette and lower the White Gradient layer’s Fill to 20% and change it’s Blend Mode to Color Dodge. Next, lets create the double border at the top of the brown buttons. Create a new layer called Double Border and set your foreground and background colors to #644239 and #866d53 respectively. Locate the Rectangular Marquee tool at the top of the Tools palette and Click and Hold your mouse on it to reveal it’s fly-out-menu. Choose the Single Row Marquee Tool from the list and click on the stage at the top of the brown button background to create a single pixel horizontal selection on the stage. 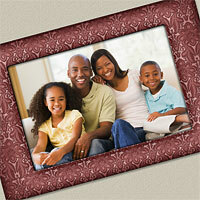 Don’t worry if your placement isn’t perfect, you can always move the border up or down once we’re done creating it. With your single pixel line selection made, press Option-Delete (PC: Alt-Backspace) to fill the selection with the foreground color we set in the last step. Press the Down Arrow key on your keyboard once to move the selection down one pixel, then fill the selection with your new background color by pressing Command-Delete (PC: Ctrl-Backspace). Now you can deselect by pressing Command-D (PC: Ctrl-D). If your lines aren’t in the right place, switch to the Move tool by pressing the V key and then move it up or down with your mouse (or the arrow keys) until it’s covering the top two pixels of the brown button background. I’ve zoomed in below so you can see exactly how things should be shaping up. 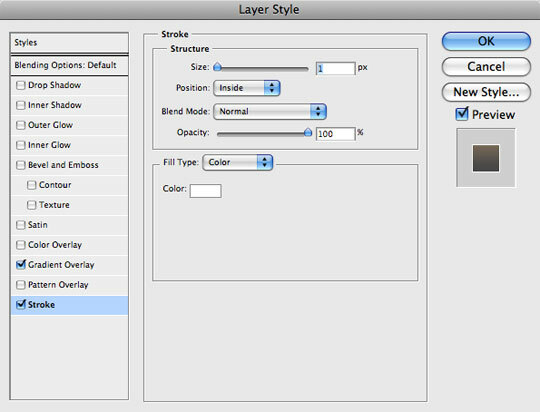 The last thing we need to do is add our Double Border layer to the clipping mask we’ve already created down to the Button Background layer, so just like we did before, Control-Click (PC: Right-Click) on the Double Border layer in the Layers palette and choose Create Clipping Mask from the menu. 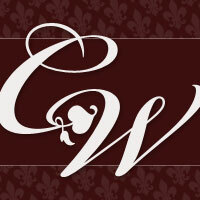 With the background now complete, switch to the Type tool by pressing the T key and lets prepare the font and style. The LittleLines website uses the Lucida Grande font which is an Apple system font found native on the OSX operating system, but Windows users, don’t fret, just read on. We’ll setup our type by first making sure the Character Palette is visible (if it isn’t, choose Window>Character from the Main menu). 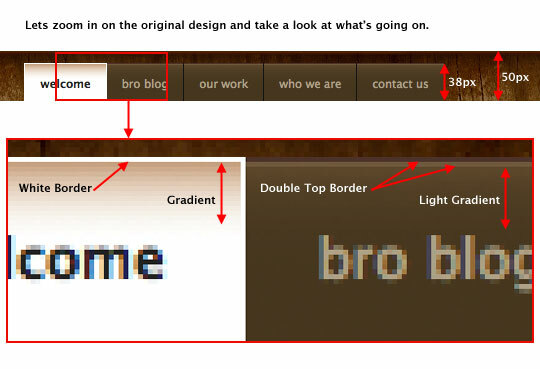 From the font drop-down menu at the top left of the Character palette find the Lucida Grande font and select it, if for some reason your computer doesn’t have Lucida Grande installed, you can use a similar sans-serif font like Verdana, Arial or Helvetica to achieve a very similar effect. Set the font weight to Bold, the size to 11pt, the color to #bcb19b and the anti-aliasing style at the bottom of the palette to Crisp. Click onto the stage to start a new text instance and type out your links. When mocking up a site like this I use spaces to separate the links and in this case I used 9 spaces between each link item. When you’ve finished your text, click on the little Check Mark icon in the Text Tool options bar at the top of Photoshop (or simply hit the Enter key). You’ll notice that a new Text layer has been created for you in the Layers palette. 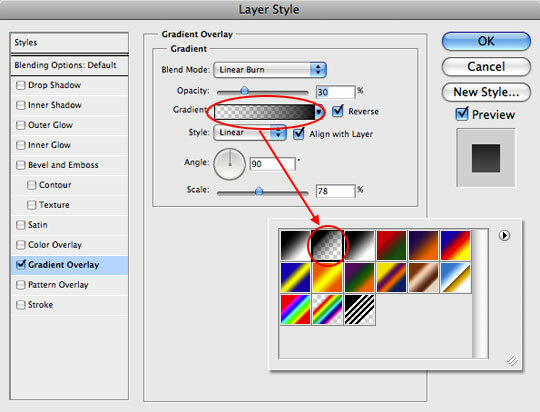 With the Text layer still selected in the Layers palette, hold down the Command (PC: Ctrl) key and click the Add New Layer icon at the bottom of the Layers palette. This will add a new layer below the current layer. Name this new layer Button Current. Press the M key to switch to the Rectangular Marquee tool (*make sure you switch it back to the Rectangular Marquee tool from the flyout-menu if it’s still set to the Single Row Marquee tool that we used to create the horizontal lines) and create a rectangular selection from the upper left corner to the center between the first two buttons as shown below. Next we’ll use Layer Styles to add the gradient and outline to the Button Current layer, but first, click on your foreground color swatch in the Tools palette and change the color to #c8a282. 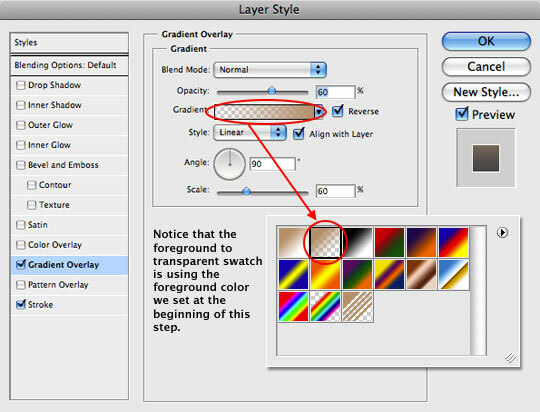 Open the Layer Styles dialog box by Control-Clicking (PC: Right-Clicking) on the Button Current layer in the Layers palette and choosing Blending Options from the menu. Then set the following Layer Styles, being careful to check each setting with the ones below. Notice that in the Gradient Overlay style options area, when you click on the Gradient Picker, the foreground to transparent swatch is using the foreground color you just set. This way we avoid having to create a custom gradient with that color. If you did everything right, your menu should now look like the one below. The current button on the LittleLines site has black text on the current state, so lets switch to our Text layer, press the T key to activate the Type tool, select the text of the first button and change the color to black by changing the color of the selected text in the Character palette. The final step in the button preparation is to add the black divider line between the remaining buttons. 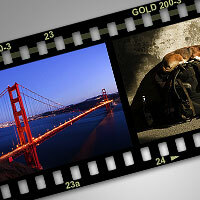 Click on the Double Border layer and then create a new layer above it called Divider Lines. Create a Clipping Mask for the the Divider Lines layer by Control-Clicking (PC: Right-Clicking) the new layer and choosing Create Clipping Mask from the menu. There should now be 3 layers clipped to the Button Background layer as shown below. To create the black lines, lets press the D key to reset the foreground color to black, then from the Rectangular Marquee tool fly-out menu choose the Single Column Marquee tool which will make 1 pixel vertical selections. From the original example we can see that the little black vertical dividers are only placed at the left border of each button, so click on the stage between the second two buttons to create a single pixel selection, nudge it left or right with your arrow keys if the placement isn’t perfect, then fill the selection with black by pressing Option-Delete (PC: Alt-Delete). Continue this process until you’ve divided your remaining buttons and don’t forget the one at the far right edge of the last button. Press Command-D (PC: Ctrl-D) to deselect when you’re done. For those of you who wish to go the distance and add the wood texture to the background, I’ll explain that here as well (since I know I’ll get 50 emails about it if I don’t!). First, you’ll need to find a wood texture you’d like to use, I think the defcon-x site is one of the best places for these sorts of textures and they’ve got a wide variety of high-resolution wood textures to choose from. I’ll use this texture incase you want to follow along at home. Command-Click (PC: Right-Click) on the image and choose Copy Image, then return to your Photoshop document. Click on the Nav Background layer to select it (It’s the one with the orange stripe on it), then simply press Command-V (PC: Ctrl-V) to paste the copied texture into the document. A new layer will automatically be created which I will rename Wood. The wood texture now fills the entire document, so lets clip it to the Nav Background layer by Control-Clicking (PC: Right-Clicking) on the new Wood layer and choosing Create Clipping Mask from the menu just like we’ve done before. The final order of business will be to add a slight black to transparent Gradient Overlay layer style to the Nav Background layer, so Control-Click (PC: Right-Click) on the Nav Background layer and choose Blending Options from the menu, then set the following Gradient Overlay Layer Style. And that’s it folks, your navigation is complete. I hope you learned a little something along the way! This going to help me a lot. Great tutorial, really well written. Looking forward to more of the same. Great addition with the background tile and gradient. Thanks for the tut. Now I have something new to add to my arsenal. I found your tutorials great for a newbie to photoshop like me. Awesome tuts, could have never done this without your help. Its a very nice tutorial.. 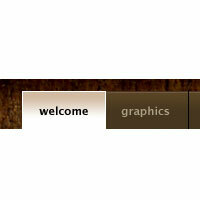 But i dont know how to make this navigation bar to work in my web site.. I mean if i click on “graphics” tab, it should change its color like “welcome” tab..??? DHRU, In theory if you were to build this out for a website, the tabs should change based on the current page as you suggest… but I just write Photoshop tutorials here, so you’ll need to do some HTML/CSS learning on your own. 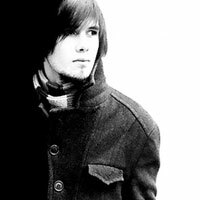 You are my.. emh… Hero :P.. Nice tut! When is number II comming? And what is it gonna do? Is it an extension to this tut or a complete new navigation? I really love this web-site, every single tutorial has helped me become better and more familiar with Photoshop, thanks a lot! DHRU, check out the below link about positioning navigation with CSS for websites! I think you’ll find it pretty helpful. What you can do, is assign the float property to your navigation container to position this left or right. I also use “block” for the ” #nav ul li ” property and then set a width and height for that. That turns each list item into a block. You can also use inline which basically lines each link right up next to each other. I don’t typically use inline. Ok, well, I don’t want to confuse you even more. It takes some time to learn CSS. Hang in there and you’ll understand it. P.S. INSTALL FIREBUG! It will be your best friend!! Seriously! Every web designer SHOULD have firebug installed without a question! I’ll second ROB’s Firebug comment. Seriously, if you’re designing without it you’re missing out on a fantastic tool! 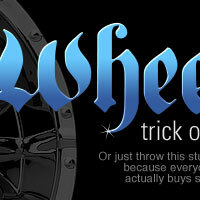 Thanks Hero, nice tutorial showing you don’t have to be too fancy in Photoshop to get a good effect. This is really nice.Also i like psd files:) Thanks dude. Helps build on those UI skills. Thanks! very good, easy to follow tutorial. I am new at Photoshop and graphic design. Your tutorials helped me a lot. They are very easy to follow. Thanks a lot for sharing. Thanks for the very detailed instruction. I love it. A tutorial on converting this to XHTML+CSS would complete it. I used a similar navigation setup much like this one. Excellent work. Awesome Tutorial Hero..!! Good Job..!! Looking for lot more tutorials..!! 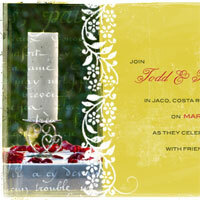 Show design, very cool! Sensational effect.